Over the last couple years more and more small and medium businesses (SMBs) have been considering new answers to the question: "how do I get enterprise-class telecommunications on a SMB budget?" Highly reliable, low-cost telecommunications services like T1's and fiber have combined with hosted "cloud" services and advances in Voice over Internet Protocol (VoIP) digital phone systems. 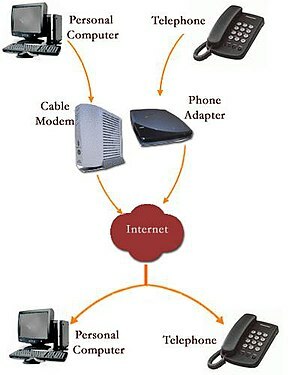 The result is hosted PBX services in the cloud. Over the last couple years I went looking for hosted PBX options for a couple of clients and after considering several competitors we selected Vocalocity. Vocalocity made sign-up and set-up a breeze. As a reseller we walked through a well documented process to get our clients up and running. We went through a quoting process where the final quote and pricing was evaluated and then approved by the sales team at Vocalocity. With a quote, credit card, and a few approval documents (for number porting and such) signed Vocalocity had the account created within a day and had scheduled the number port from the existing Internet Service Provider (ISP) within a week. Set up of the service was relatively quick and easy. All of the expected features where there, at least those you would expect from a hosted system. Even before the phones arrived we could go in and set up users, call groups, and voice mails. Unlike some competitors we were allowed to select any SIP phone we liked although they would only guarantee support on some of the more popular models. All the same, they had a great selection of quality, affordable phones available. By the time we had phones to hook up we were ready to test the service. I highly recommend testing the service (any service, not just Vocalocity) for a a few days before you port your numbers. This gives you time to train your employees on the new system and work out wrinkles with regards to business process and functionality. There were really not very many features that you expect from on premise systems that weren't included, but everything was an additional cost. At times I felt like I was being nickel and dimed even though the actual total cost was very reasonable. Vocalocity could do some simplification and bundle more of their features in a base service to fix this although they may have to keep them a la carte to compete with the marketing of competitors. There was some training, although it wasn't extensive. As a partner we had dug in to the documentation and training videos ourselves and then provided training to our clients rather than just entrusting them to Vocalocity's resources. It can be very beneficial to work with a partner that has performed Vocalocity installations and migrations before for first time clients. Maybe this has changed, but it would have been nice to have more personal training, not just documentation and web videos. We used many of their features and found some we were missing and really wanted. Specifically, we were looking for the ability to select from multiple outbound caller ids for different phones on the system. We told their partner and support departments how important that feature was (along with several others) and were pleasantly surprised when they deployed those same features within a few months. Support was good. The phone team all spoke English as a first language and were available when we needed them without excessive hold times. The documentation was good as well. The only caution I have here is that since Vocalocity doesn't work directly with your ISP and doesn't qualify line quality you may have mixed results with regards to reliability and call quality. Some competitors get around this by requiring you to purchase your internet connection through them... which has both positive and negative facets. Personally I preferred having full control over the ISP service. I did hear a couple complaints from one client about billing issues. This was about the same time that Vocalocity hired a whole bunch new people and revamped several business processes. I have a feeling that they just got behind with the huge growth in their business. That doesn't excuse dropping the ball though. I understand this has gotten better as they developed their new team. On the whole I was happy with the choice to use Vocalocity and I would recommend them to small and medium businesses looking to move their voicemail/PBX system to the cloud... but only IF they have high-quality, reliable internet service. Have you used Vocalocity? What was your experience like?